Beamspin Restaurant is a mobile app to help restaurants to generate higher sales volume and also to improve the dining experience by building a cost-effective and scalable micro-location marketing solution together with analytic data. There are several features that Beamspin will have. Traditional marketing solutions like giving a brochure or coupon, and mouth-to-mouth promotion are getting costly and time-consuming when we could not measure the effectiveness of these marketing methods in a tangible form. Beamspin Restaurant will be using iBeacon technology to trigger a notification on diners mobile when their location is within the range where we transmit the signal, for example, when they are 5 meters away from the restaurant. The notification will then lead you to a page containing today's offer, special discount and food menu. The iBeacon's usage can be extended by having each table to install a beacon transmitter and allows diners to make their order directly through their mobile to the kitchen. We can even setup a different offer for a different time, for example when the time reaches 12pm, they will show the image of lunch set instead of breakfast set. By connecting the diners social media account with the Beamspin app, we can post useful information on behalf of the user, for example promoting the same offer claimed by the diners, a newly snapped food picture and a review for a food. As we've collected the diners data when they order foods, we can create an analytic tool for tracking consumer behaviour. We can track the total time they've visited the restaurant, the total coupon they've claimed, the total time they stay inside restaurant, and the food they've ordered previously. This data could be useful if you use it to reward them when they have met certain criteria, for example 10 times visit will get one free ice-cream. Not only that, we can also analyse which foods have the highest orders through mobile, which foods have the highest take away rate, which is the least favourite foods and so on. With this kind of data, we help restaurant to determine the total stock they should keep in the kitchen and indirectly it helps in saving cost of keeping unwanted foods and make sure the foods are always fresh. When a restaurant is full of customers with no queuing system installed, it could be the reason of the customers to move to another place and causing the restaurant lost some sales. Even a restaurant is equipped with the queuing system, the diners still have to stay at the same place for an unknown waiting time. Beamspin will now trigger a notification telling if the restaurant is full of customers with the option whether the diners would like to register a number in the queuing system. If the diners register a number, the app will roughly calculate the total waiting time to get the table so that they can decide whether to walk away to elsewhere or stay outside the restaurant. Our app will then send a SMS or message to the diners if their waiting list number is called. Many restaurants reward their customer, but getting an extra membership card could probably stop the customers from applying. Some customers might even forget to bring their card out when it is needed. Beamspin can allow customers to collect their reward points by entering the receipt number through the app and the system will then update the reward points he earn from the current visit. If customers do not like entering receipt number to earn reward points, they can actually choose to make their payment through online banking (for example: iPay88 or MOLpay) and the reward points will then be calculated and send it to their account. The accumulated reward points can be checked anytime through the app or we will notify them on the next visit. Instant promotion notification when diner's mobile is within 5 meter range. On device menu/ ordering pushed to mobile by iBeacon transmitter installed on table. Connecting with social media account and analyse consumer behaviour through the activity on the app. A mobile queuing system with time estimation and notification through SMS when a table is reserved. A rating system and review for foods. A word-to-mouth promotion through social media account by posting coupon claimed, newly snapped pictures and food review. A thank you notification with total reward point earned to be triggered when going out from restaurant. 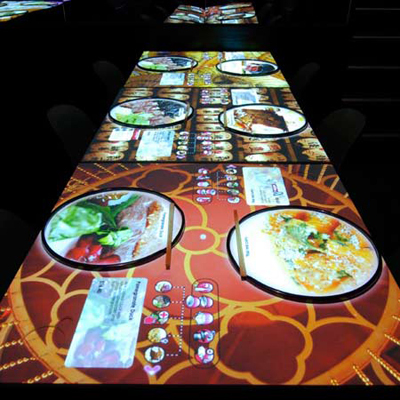 Besides that, we have an idea to bring interactive restaurant to Malaysia and Singapore if we can get a pledge more than RM15000 for this project. We have reviewed the price of interactive table from the US and Europe vendors and we found out that it is extremely expensive to purchase the license of software, hardware and even import into our country. We hope that we can use the least expensive material to build the hardware together with the software app that will actually fit into the requirements of local restaurants. The amount of restaurant server can be reduced. Better service to the diners as restaurant server has more time to service them, rather than managing ordering process. Server turnover can be reduced. Ability to dynamically influence which dishes are ordered as customers are more likely to order from the first 5-10 option presented. The system can be seamlessly integrated with the Point of Sales System. Instant promotions pushed to the table. Higher numbers of table turns can be achieved, as customers order and request their bills more quickly. An increase of 10% in the numbers of covers from the word-of-mouth recommendation. 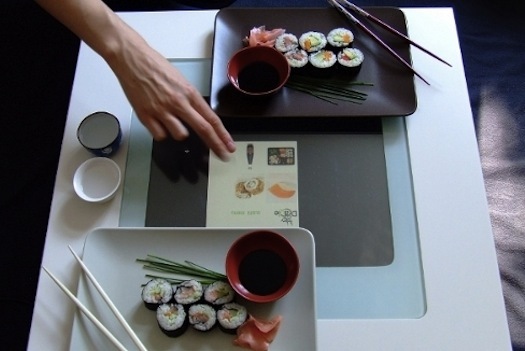 A sale of advertising space on table. Higher customer satisfaction without waiting for the restaurant server to place order. Enhance guest experience as people are more likely to try innovation things. 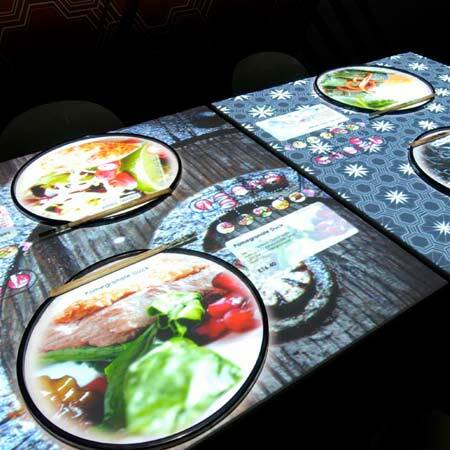 Life-size version of the dishes can be shown. Customers like being in control of the ordering process. Customers order more as another order is just a click away. Misunderstanding between servers and diners can be greatly reduced. Ability to serve diners from different countries as it is equipped with many language packs. However, the person must send pitchIN the proof of transfer by attaching the receipt to the email address: [email protected] with the Subject Heading: Beamspin. Upon receiving that, the folks at pitchIN can then quickly update the project page. You understand how tough to build a startup business and would like to send us a cup of coffee so that we can keep on fighting. We will then send a thank you card through email to express our appreciation. Thinking that this is an awesome idea and you would like to see it to be created in near future. A RM30 Starbuck eGift will be rewarded if you are a coffee lover. You realised that the potential of our app to go international and would like to see it success in the future. A USD$10 eGift card from opentable.com could be the best reward, as we are creating restaurant solution. Small restaurant that is owned by you and you wish to see the restaurant service to be improved by our app. With this amount, you will get 2 basic features of beamspin, together with 1 month subscription plus one iBeacon for free. volume growth through our app. With this amount, we will send you a full feature of beamspin, together with 3 months subscription plus 2 iBeacons for free. You have a strong faith to our idea and believe it could help your restaurant to solve many problems, no matter the app is used in a small-sized or big-sized restaurant. With this amount, we will reward you a full feature of our app, together with 6 months subscription plus 5 iBeacons for free. 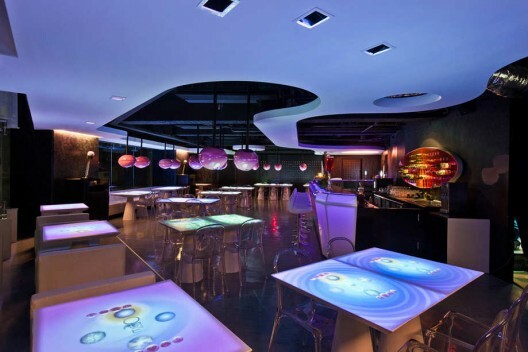 We will create an interactive restaurant for you that is going to wow everyone. The money pledged will be used to purchase the necessary hardware to build the interactive table and hire professional for coding. 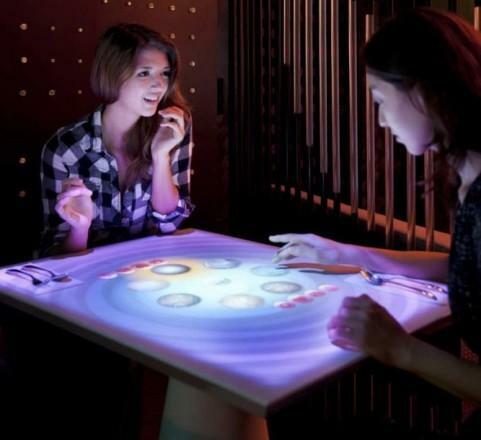 The amount is estimated to build one table for this moment, but once we build it up, we are pretty sure that our interactive table will be much cheaper than our competitors in Europe.